Skypito KidGuard prevents Skypito users from communicating with people that have not been approved by parents. This means that your kids cannot talk, chat or play games with strangers or unauthorized people on your Skype buddy list. Skypito buddy - these people must use Skypito on their PC in order to speak or chat with anybody. Skypito performs enhanced security checks to verify that this person is actually the one you have approved. Skype buddy - these people can call your kid directly from Skype. Skypito CANNOT verify that this person is actually the one you have approved. For safety reasons it's recommended to mark only adult relatives or close family friends as this type of buddy. Skypito interface is fun and simple to use. Even the youngest kids can make calls, send surprises and chat with friends on their own. Parental control features allows parents to make sure their kids are safe online by selecting buddies for their child’s account. Skypito allows kids to feel independent in their communications while parents have peace-of-mind about child’s safety and well-being. We offer a large collection of games for kids to play with family members and friends. Another cool Skypito feature is Surprises, little animated characters that are easy to send and are fun to receive. Download Skypito for your kids and enjoy all the benefits of this safe and fun communication tool. Keeping your kids safe on the Internet is our priority. 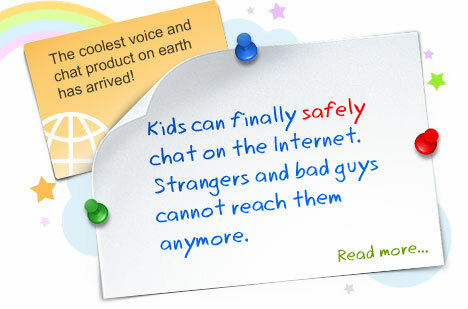 Skypito is the safest communication tool available for kids. Parents or guardians must pre-approve (white list) who kids are allowed to talk to or chat with. Kids can communicate with their friends having the best sound quality on the net and the easiest chat solution with extra fun features, all for FREE. Kids can play cool online games with friends, parents or grandparents for FREE. Can you imagine getting a Skypito request from your 6 year old to play a game of chess or checkers while you are on the road? Now you can do it and it is free.